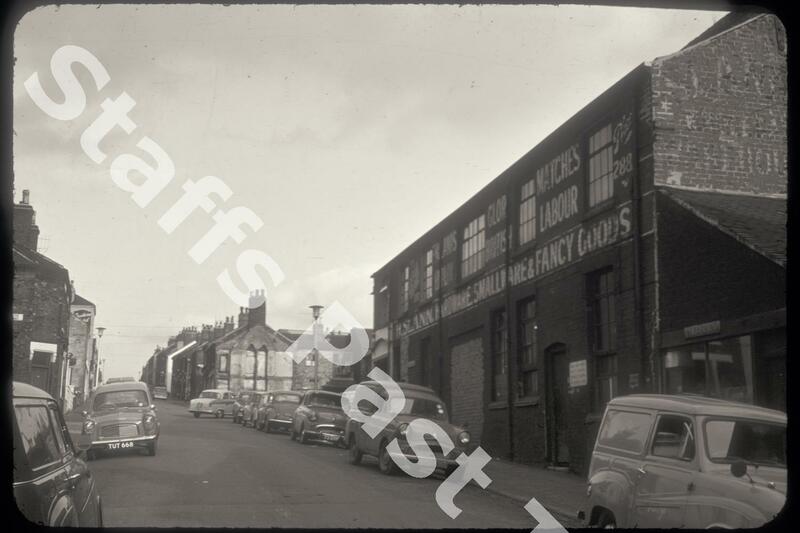 Description:Hillchurch Street was previously know as Church Street and is now divided into Hillchurch Street and Upper Hillchurch Street by the A50 Potteries Way. Baxter Street (formerly Gladstone Street) is going off the left hand edge of the photograph. Much of this part of the Hillchurch Street now lies beneath the Potteries Way and the houses further along are in Upper Hillchurch Street. 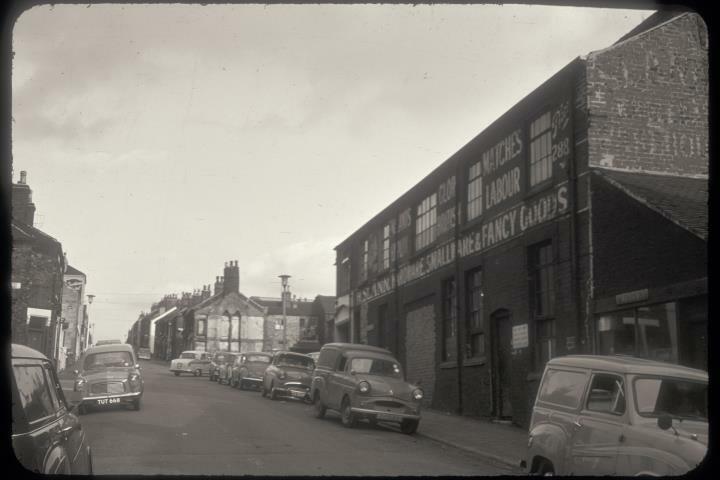 The large building on the right is H Slann's warehouse, supplier of "hardware smallware and fancy goods." Painted along the upper storey is an advert for "England's Glory Matches" and below a plea to "Support British Labour". For some years Slann's had a hardware stall in Longton Market.